The ” Morden” is our most popular folding exam desk. 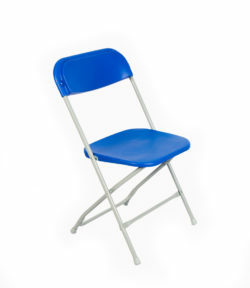 As they fold flat they can be easily transported and occupy a minimum amount of storage space. There is a choice of worktop size. 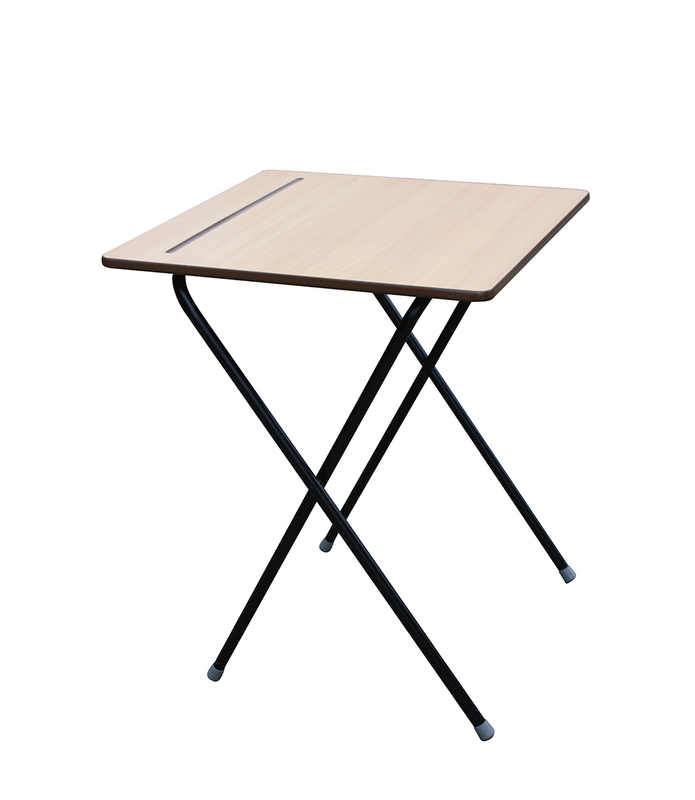 We recommend 600 x 600 mm, as this provides plenty of space for exam papers, stationery etc, although we can also supply desks with 600 x 450 mm worktops. Please choose from a beech or grey laminate top. 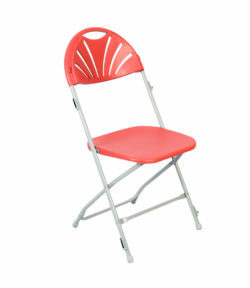 The height is 730 mm. We can usually supply 600 x 600 mm size desks in beech or grey worktops at short notice, sometimes on a next day delivery, depending on what time of day we receive your order. 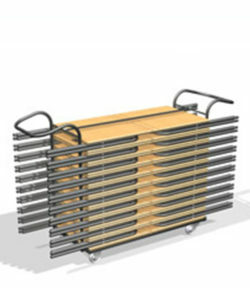 You might like to consider a “package deal” of desks plus transporter…please see below for details AND save money compared with ordering desks and transporters separately. The 600 x 525 mm size desk is only available as a “London” exam desk. 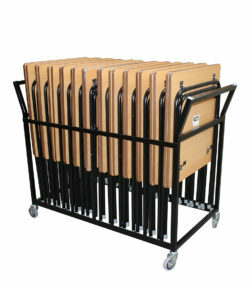 Our “London” exam desk is our UK manufactured desk with a FIFTEEN year fair wear and tear frame guarantee. Highly recommended. Please call / email for details. Limited geographical availability.